If you’re trying to follow payroll best practices, you know manual payroll is a thing of the long gone past. Manual payroll allows for too many opportunities of error and takes up way too much time. Good news. There are some great ways to streamline your payroll process. Editor's Note: Since the publishing of this article, the IRS and U.S. Treasury extended reporting deadlines for ALEs furnishing and filing certain forms related to the ACA, including Form 1094-C and Form 1095-C. The new deadlines for employers to furnish Form 1095-C to employees is March 31, 2016. The new deadlines for employers to file Form 1094-C and Form 1095-C are May 31, 2016 if filing by paper and June 30, 2016 if filing electronically. For more information, please read the IRS Notice 2016-4. 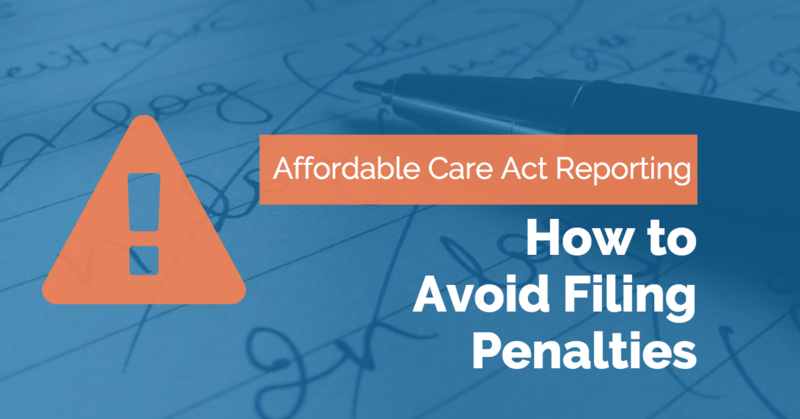 Do you know how to avoid ACA filing penalties for your organization? If you're not addressing all factors that make up ACA compliance, you could have some of these penalties in your future. Maybe you have an employee-sponsored health plan, or you’ve tracked every employee’s time. Maybe you even offered full-time employees health coverage. But have you covered all your bases for ACA compliance?